February 2019 - GRSCC Program retreat! 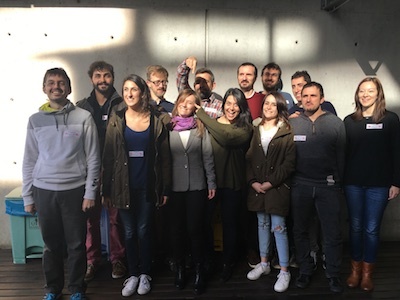 We had good fun at the 2019 GRSCC program retreat. 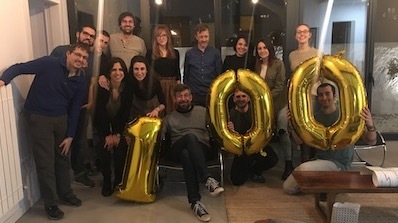 January 2019 - We reached 100 papers! 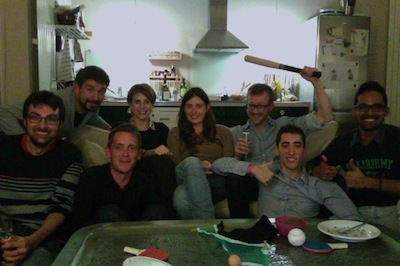 All members and old members of the lab prepared a party at home. THANKS! 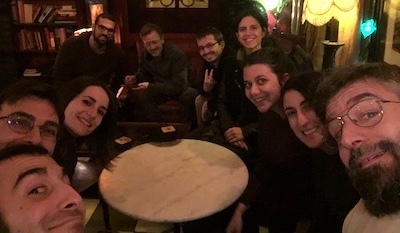 December 2018 - Valeria's visit! 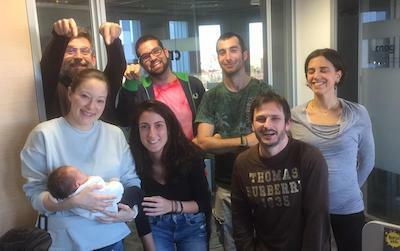 We are so happy for Fransu and Yasmina! December 2018 - Xmas dinner. Celebrating a great year of science and friendship! 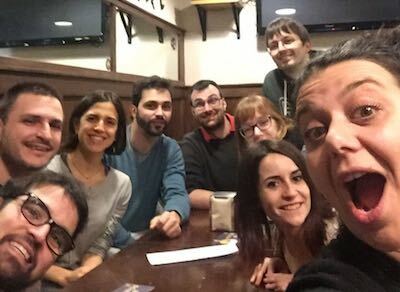 November 2018 - Fransu's Farewell tapas. We will miss the giant! 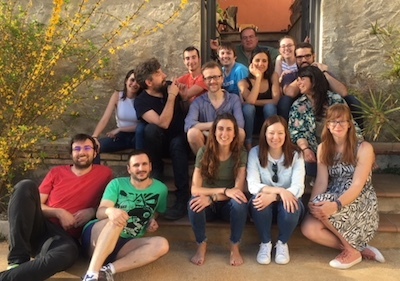 May 2018 - Lab Picture @CRG. 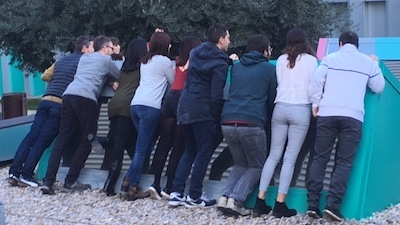 April 2018 - Lab Calçotada. The group after a good Calçotada. Special guests: Pedro and Claudia. 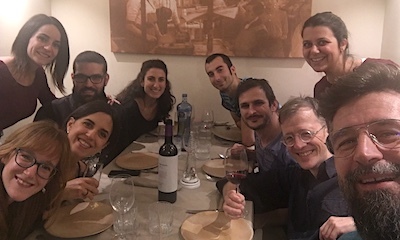 January 2018 - Yannick's farewell dinner. A night without the boss... leave them alone!. December 2017 - Xmas dinner. The entire group with our newest members and our good friend Claudia!. September 2017 - Back to work after summer. A bunch of us waiting for the new members of the group to join!. June 2017 - Summer dinner night. 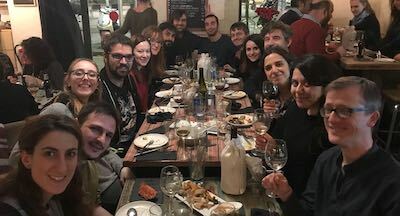 A bunch of us having tapas in Barcelona. 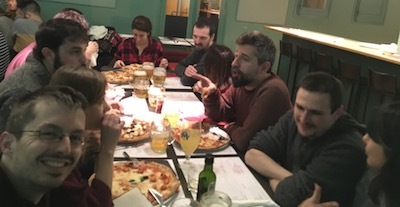 February 2017 - Davide's farewell pizza night. 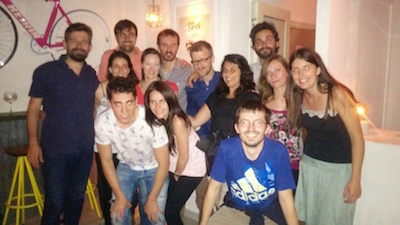 A bunch of us having pizza with Davide, Barcelona. 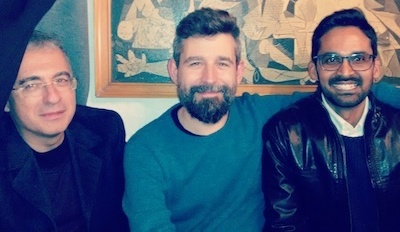 January 2017 - Gireesh's thesis defense party..
Roderic, Marc and Gireesh in Leche de Pantera, Barcelona. January 2017 - They take it seriously this year!. 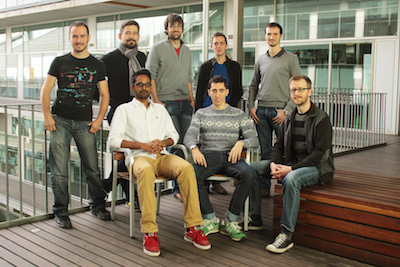 Members of the lab working at CRG, Barcelona. December 2016 - Fran's thesis defense party. 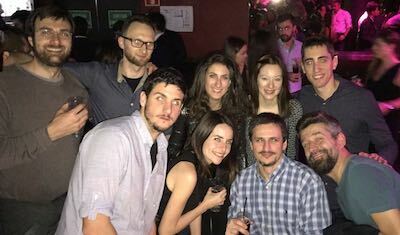 Fran (top-right) & Friends at Bikini, Barcelona. December 2016 - How we look from behind?. 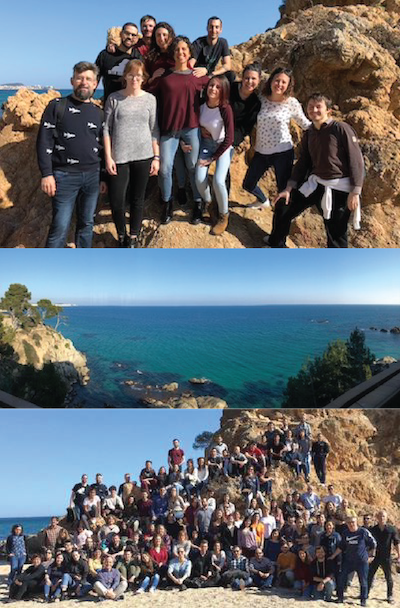 December 2016 - CRG-GRSC Program retreat. Yes, we are there with our friends at the Department. November 2016 - Francesca's thesis defense day. 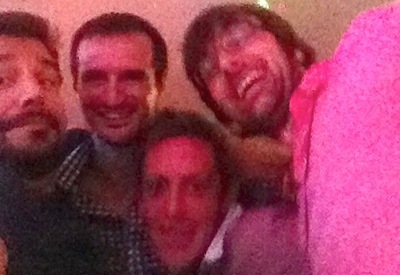 All the group very happy for Fra! (in the middle). November 2016 - La Marató TV3. 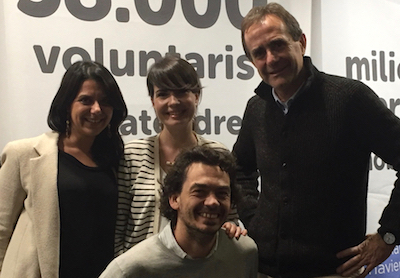 with our friends from the Ferrer and Gómez-Skarmeta Groups. 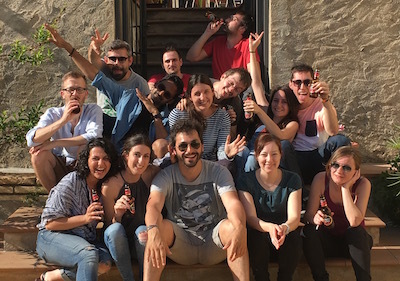 May 2016 - Lab BBQ. Special guests: Francesca and Marie. December 2015 - CNAG-CRG Xmas party. December 2015 - "Dance your Lab" video! 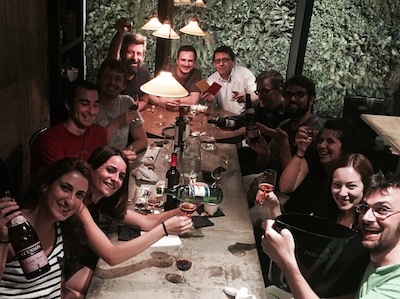 June 2015 - Group dinner. 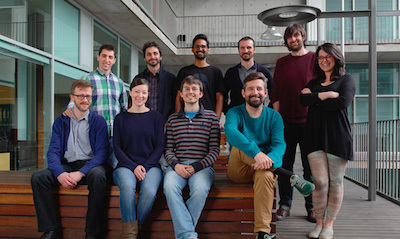 May 2015 - Lab picture. 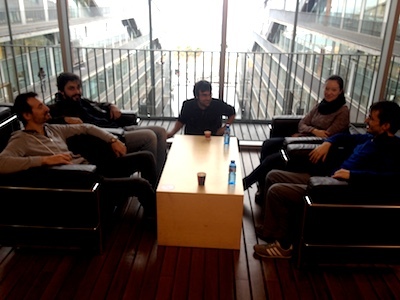 Mike, Yasmina, Marco, Marc and Irene. 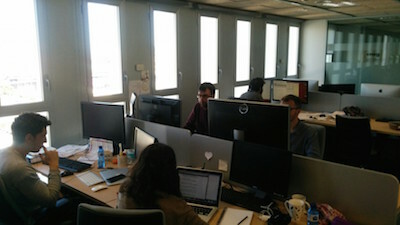 April 2015 - New offices at the 10th floor! December 2014 - "Dance your Lab" video! The usual suspects Davide & François S with the new members! 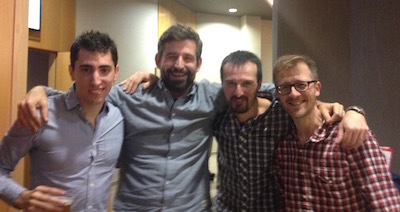 David, Marc, François S, François lD, and Davide. Marc, Roser, Marie, Mike and Gireesh. François S., François lD (yes, AGAIN the floating head), and Fran. 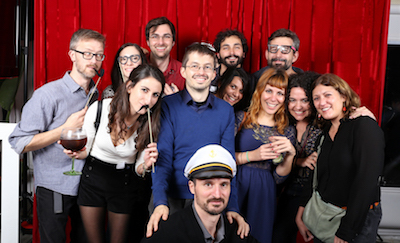 October 2013 - EMBO Nucleus Meeting... Disco! Marc, Davide, François lD (yes, the floating head), and François S.
Gireesh, François S, David, François lD, Davide, Marc and Francisco. October 2012 - Our first Retreat! 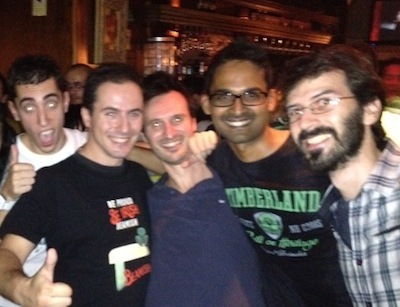 Fran, David, Davide, Gireesh and our good friend Guillaume. 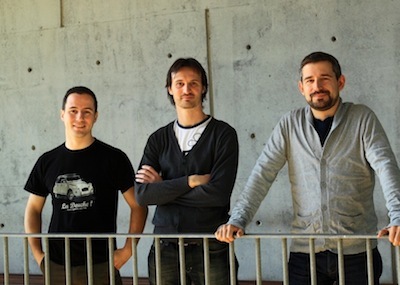 May 2012 - Our first foto at CRG! David, Davide and Marc at CRG. 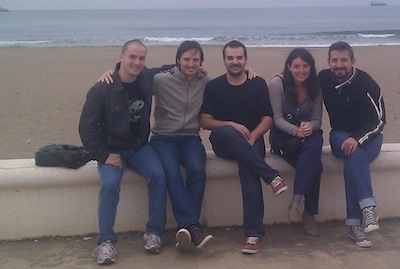 April 2012 - Our first foto in Barcelona! 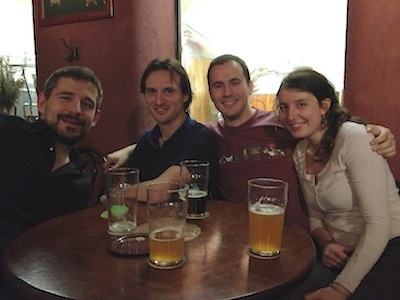 Marc, Davide, David and Marie at La Cervesera Artesana in BCN. October 2011 - Paella time with Emidio and Marie. David, Davide, Emidio, Marie and Marc at the beach. 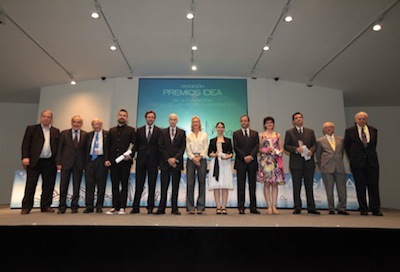 June 2011 - Idea Award Ceremony. Marc (the guy in Puma shoes) is given the IDEA 2011 award. February 2011 - Group Foto. 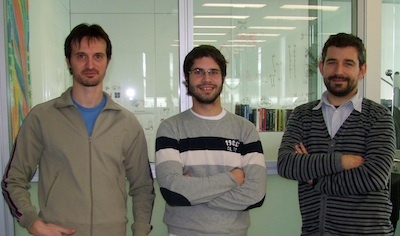 Davide, Carlos and Marc at the lab. July 2010 - Emidio's visit. 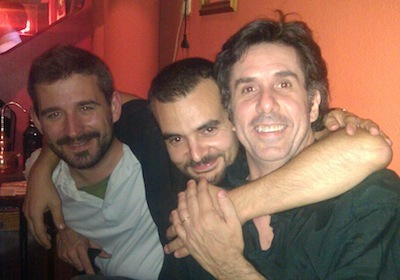 Marc, Emidio and Hernán at a pub in Valencia. July 2009 - Emidio's farewell dinner. 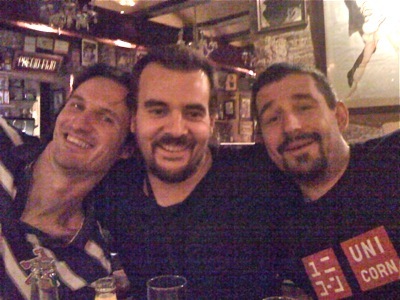 Davide, Emidio and Marc at the "Infanta" bar in Valencia.